Get hands on experience and learn how to take advatage of all of the features in ELS with the 2.5 day Introduction to ELS Training. 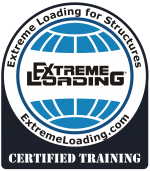 ELS Certified Training is offered at our state of the art training facility in Durham, NC, or on location (Minimum of six (6) participants required for on location training). *PDH Credits Available. For course availability and scheduling information please call us at 1-919-645-4090 or Contact Us via Form.